Decided to head back to Pineland. Needed a change of scenery, for one thing. And I figured I might get a shot at a tarpon. So early this morning I put the Chupacabra on the roof and pointed the car south, toward Pine Island. Pineland is pretty country, and this morning it shone in all its glory. Immediately upon launching four porpoise swam by me. They were close enough that I heard them breathing. Then one vocalized, calling to his friends. Nice. 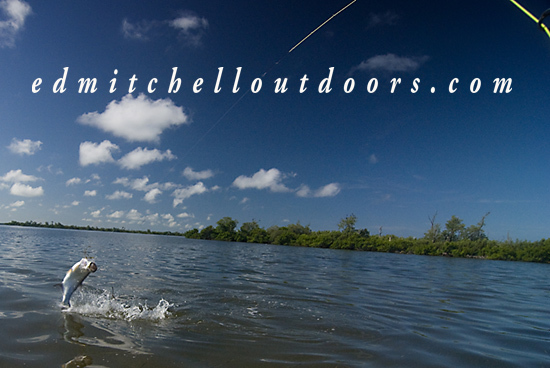 Running with a northeast wind, I soon covered two miles of open water. While high above a frigate circled. Around Rat Key, I spied a black colored fin. It popped up and then disappeared. I thought it might be a small shark, but I made a cast. At the end of the retrieve, I raised the rod and met solid resistance. Bingo! Turns out that fin was actually the tail of a tarpon. No it wasn’t huge. Low teens, I’d say. Still it put up a wonderful fight. 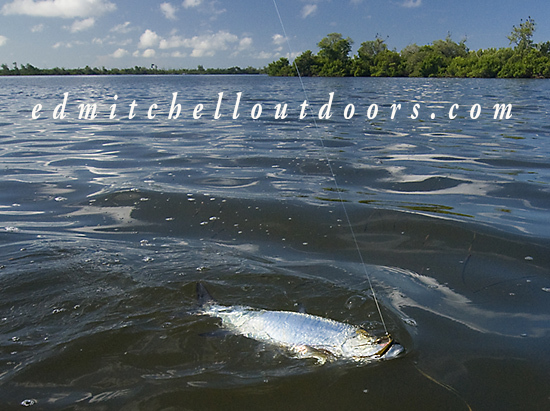 As we all know tarpon are terrific adversaries on a fly rod. They pull hard, run, dive, and jump. Amigo, you and your tackle are going to get sorely tested. Eventually I landed the Silver King. Got my fly back, out of the roof of its mouth. And then let the King swim back to his castle. Yes, it was a sweet experience. Kings from a kayak? Its a great way to go. 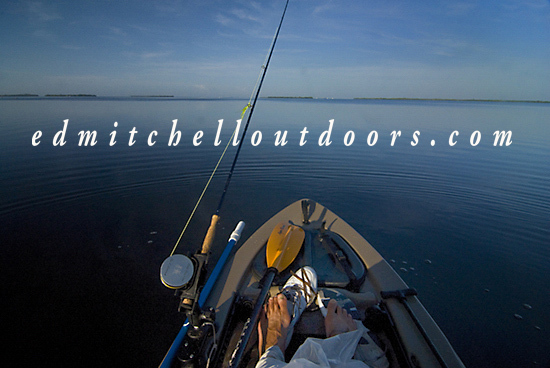 This entry was posted in Fly Fishing in Salt Water, Kayak / SUP Fishing, On the Road. Bookmark the permalink.